4 Why will the congress be held in Novi Sad? 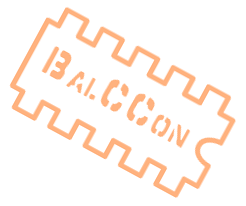 BalCCon aims to become the center of the hacker community in the region as well as to provide an opportunity for all the people in this part of Europe to connect and to cooperate. Program and speakers will be taken through a “Call for Papers” few months before the congress. We have planned some special guests whose reputation is well known in the community. All applications sent by people will be stored and graded by congress orga people. Why will the congress be held in Novi Sad? LUGoNS is one of the oldest hacker communities in Serbia and we have existed successfully for more then a decade and have spread our knowledge and international experience. The city of Novi Sad is suitable for hosting international event of this kind, because of its great geographical location, infrastructure, tourism support and mandatory technical support.